Maine DOT collects data from every car accident in the state to improve roads. BANGOR, Maine (NEWS CENTER) -- For each car accident that happens in Maine, the state's Department of Transportation keeps track of bits of information like the accident's cause and location. According to DOT spokesman Ted Talbot, the data is collected over three year periods. The latest study went from 2012 to 2014 and breaks down information about each crash. It includes facts like how serious the crash was and whether or not it was fatal. It also includes data about crash locations and how many crashes happened in that spot compared to similar locations, a number called the critical rate factor. "That critical rate factor means you've compared that intersection or stretch of road to similar intersections or stretches of road and that's come back as higher than average," said Talbot. "It really helps us identify these areas of concern." NEWS CENTER got a look at the full list of high crash locations in Bangor. An intersection on Stillwater Ave. where traffic from the Parkade shopping plaza and I-95 on and off ramps meet had the highest number of crashes between 2012 and 2014 with 43. The second highest crash location was at the intersection of Griffin Road. and Ohio Street which had 40 accidents. 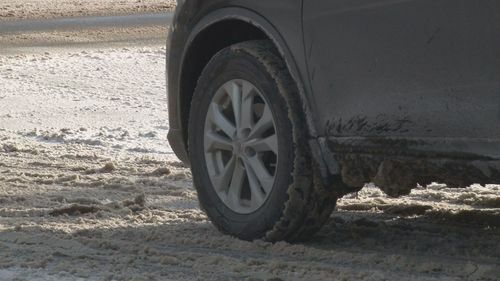 Bangor's city engineer, John Theriault, says residents call him with their opinions on which areas are the worst for crashes. He uses the DOT data to try and find out if they're right and if something should or can be done about them.